Jack Sewing Machine Co. Ltd. enters into JV with Vi.Be.Mac. 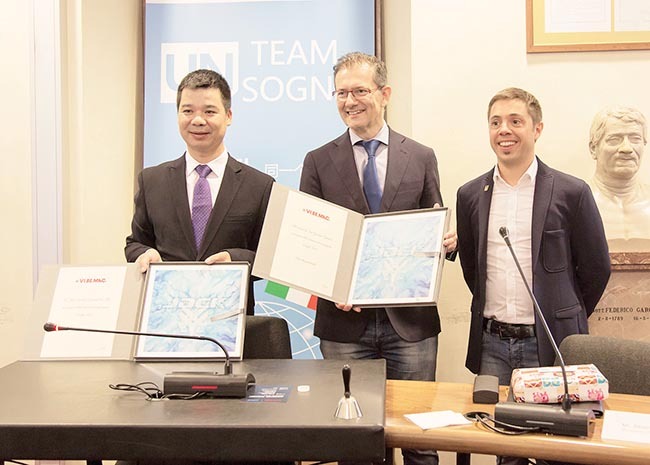 S.p.A.
Verona-based VIBEMAC that offers industrial automatic sewing machines specializing in five pocket jeans and the Chinese Jack Sewing Machine Co. Ltd recently concluded a Joint Venture at the City Hall of the Municipality of San Giovanni Lupatoto, Verona. As per the JV 80% of the Vibemac shares have been transferred to Jack. Guerreschi family will maintain the management of VIBEMAC in Italy and VIBEMAC China will be created for the Chinese market with Guerreschi family as founder shareholder. As soon as high competitiveness will be achieved Vibemac will be working on increasing the production in Italy by 2019. The company also looks at widening company spaces and investment on staff. JACK SEWING MACHINE CO. LTD. (JACK STOCK)is present in the Shanghai foreign exchange market with headquarters in China. 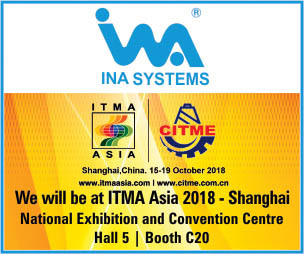 The company has been producing a wide range of equipment for 23 years: intelligent industrial sewing machines, cutting machines automatic and energy saving electric motors for sewing machines. JACK STOCK has 7 research centers in Germany, Italy and China and in other countries about 700 engineers coming from countries like China, Germany and Italy. Currently Jack holds the German company BULLMER, M.A.I.C.A, and now VIBEMAC. With this it will support strong development of the Chinese Group strategy towards the first place in the global sewing market. Jixiang Ruan, Jack Stock Founder and Jack Group Controller; Lucy Xu, General Manager, Smart Sewing Center General Manager and Jack Europe Administrator said, This agreement will bring growth to both partners. After the acquisition due to the added value that Jack can bring in terms of supply, production and distribution in China and in the world, with its more than 5 thousand sales and service channels in more than 120 countries – we will share with VIBEMAC an even wider market. Carlo Guerreschi, Founder of VIBEMAC said, We strongly wanted the public signing of this agreement to take place in an institutional location such as the Municipality of San Giovanni Lupatoto, precisely in the wake of that link with the territory that saw the birth and growth of the company that I wanted found and maintained with its labour power, renouncing a more profitable relocation in a country with lowcost labour.